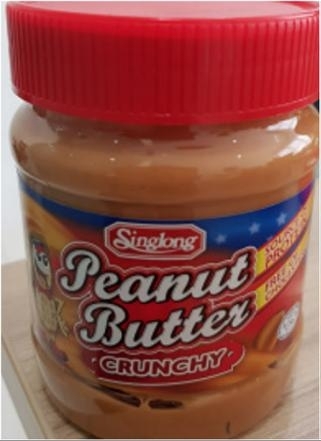 A batch of Singlong Peanut Butter (Crunchy) has been recalled by its importer after a metal screw was found in a bottle of the Chinese product, said the Agri-Food & Veterinary Authority (AVA) on Monday (7 May). The AVA had worked with the importer to investigate the incident – upon receiving feedback about the metal screw in the 340g bottle – and found that the foreign object could have been introduced during the manufacturing process. AVA said that the importer had voluntarily recalled the specific batch of the product, to be used by 25 January 2019, as a precautionary measure. The recall has since been completed, the AVA added. Consumers who have purchased the affected product are advised not to consume it, and may contact Sing Long Foodstuff Trading at 62845254 or email nya01@singlong.com for a refund or an exchange.